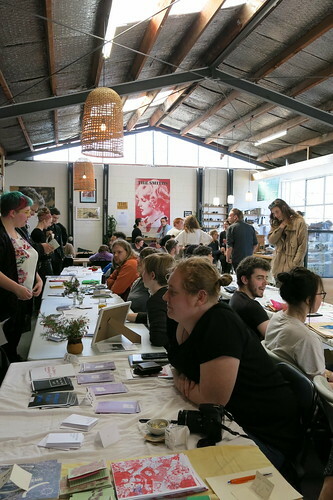 Christchurch Zinefest is happening on Sunday 30 September 10am to 4pm. It is on in the Pūmanawa space at The Arts Centre, Boys’ High Building (Level 1, Boys’ High Building, 28 Worcester Boulevard). Subscribe to the Facebook event. A new library's coming to town No, not that one - this one! 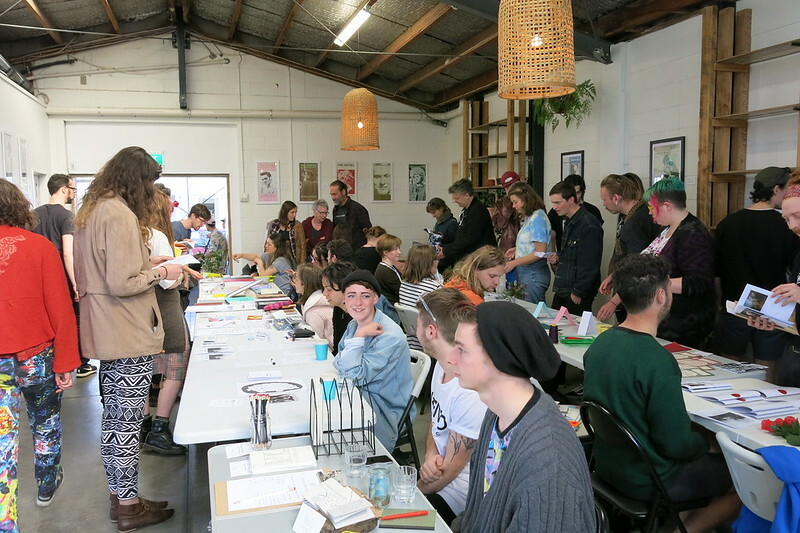 https://t.co/JDmAUMmcWj The Chch /Ōtautahi Zine Library starts off at Lux Espresso by @CoCAChch. Do you draw? Doodle? Write notes to friends? Glue stuff? Cut paper? 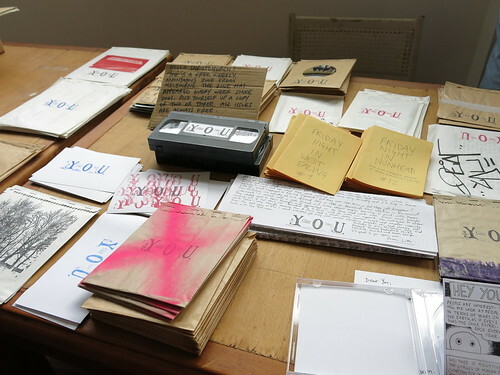 You can make a zine! Zines (pronounced zeens, not like lines) are small cut-and-paste, self-published magazines made on a photocopier and distributed through mail order, coffee shops, music stores, low-budget websites and word of mouth. They are physical objects bound with whatever you can get your hands on. What do you put in a zine? Anything goes! Zines touch on music, politics, television, movies, work, food, whatever. You can get to know people pretty well through their zines because they are highly personal and whatever the creator wants it to be! Zines can feature poetry, jokes, cartoons, collage, and artwork, essentially anything that can be put down on paper. YouTube clip showing how to turn one sheet of paper into an eight page zine using only a few folds and a pair of scissors. YouTube clip on zine history and the hows and whys of making your own. 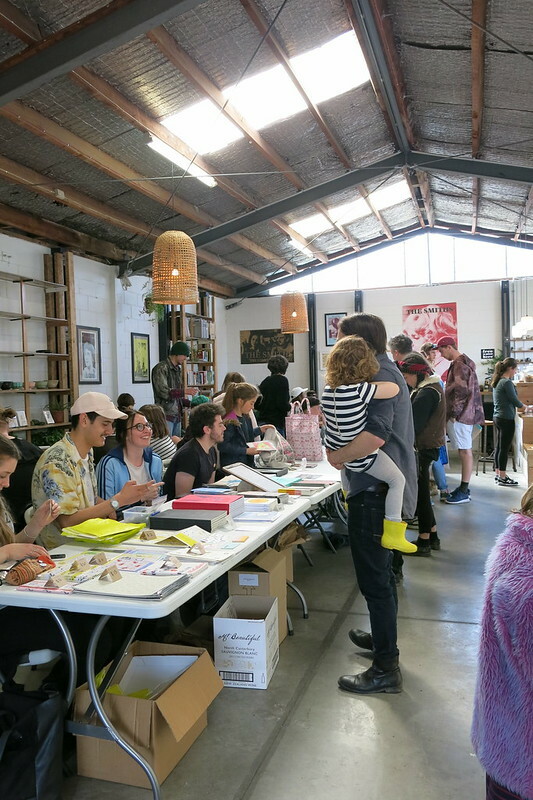 Zines spring from the desire to create a tangible material object, and the physicality of zines is what differentiates them in essential ways from their electronic counterparts. 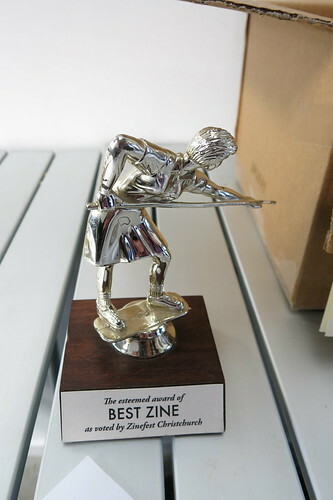 Zines are about paper and glue, staples, thread, and ink, not about HTML tags, links and pop ups. Creating an artefact which can be passed from one person to the next, which can be sent through the mail (the regular mail), is part of the appeal. In short, there are few rules for zines. Some would argue that there are none. Make one yourself or get your friends in on it! Can I make a zine about my cat? YES! Can I make a zine about that old guy who whistles in front of my house every night? YES! Can I make a zine about my obsession with underwater basket weaving? YES! Can I make a zine without words? YES! Can I make a zine about anything and with any materials I like? YES! Pretty much. You get the idea. Now, go! 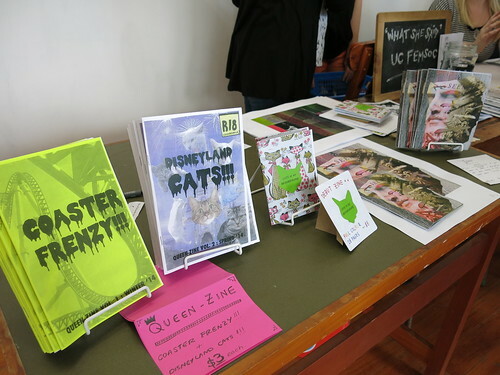 Make zines!